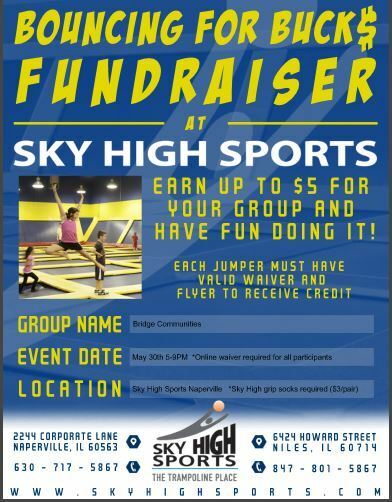 30th 5-9pm at naperville location of SKY HIGH SPORTS to raise awareness and donations for the organization. The charity that our group has chosen for our project is a local charity that assists DuPage County, Illinois residents with giving them free temporary housing to 131 DuPage County families each year. The name of this charity is Community Bridges Inc. The critical services Bridge Communities provides to the homeless are housing, mentoring,unemployment and other supportive assistance. This includes giving the homeless a place to stay, learn to save and budget financials, obtain employment, and guide them to live self-sufficiently in the future. The first two years that each family spends in this program, they learn to save money, learn budgeting skills, and more. The area which they target is DuPage county which is west of Chicago. Because of this, we wanted to host an event within the area in order to reach the community which is directly affected by Bridge Communities. 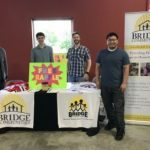 Bridge partners with dozens of local churches, community groups, and businesses to provide a comprehensive program for homeless families in DuPage County. These partnership result in awareness, donations and volunteering for the events at Bridge communities. We started the project with the intention of creating a dodgeball tournament to drive ticket sales and fundraise for Bridge Communities. This included providing Bridge Communities a proposal which states what our event is, what are the tasks involved, who is completing the tasks, and when we are expecting these tasks to be completed. During this process, we also had to consider where our event would take place, when the event occurs, how much time the dodgeball tournament will last, the budget of our group, the materials and equipment needed for the event, how to track team registration and revenue, and finally how to attract people to this event. 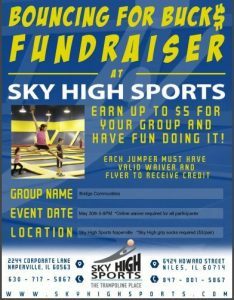 We decided to host the dodgeball tournament on May 27th, 1:00PM – 5:00PM but now we needed a location. 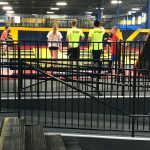 After conducting cold calls to numerous school’s and recreational centers within the DuPage area, we had to look elsewhere because the prices and availability of the facilities were unsuitable for our capabilities. This made it easier for us because the Ray Meyer Fitness Facility in Chicago was able to accommodate our requests. In addition, the Ray Meyer Fitness Facility could provide us with dodgeball equipment such as the dodgeballs, whistles, ect. Once we acquired the facility, we had to start marketing the event with 3 weeks left. We made a Eventbrite page so teams are able to pre-register and we could forecast whether to shorten or extend the time of the event. Because the Ray Meyer Fitness Facility was a DePaul building, it accommodates DePaul students for a rental discount. We focused our marketing efforts to attract DePaul students which included posting 52 flyers in the student dorms and pushing 78 emails to undergraduate and graduate student organizations. In addition, we posted on DePaul related groups on Facebook to drive awareness. Unfortunately, a few days before the event, only a couple teams pre-registered. 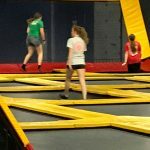 We decided to cancel the event and proceed with our contingency plan which was to partner with an indoor trampoline park called Sky High Sports. When we were posting on Facebook, I came across a group called “Naperville Moms Network Business, Events, & Happenings!”. It was a closed group for Napervile moms but we made contact with the administrator of the group. She was not only the admin of the group but also the leader of a community group called Naperville Moms Network. She allowed us to post in the Facebook group and she spread our event on her website and community group. On the day of the event, we set up a table which included a banner, flyers, and a free raffle. 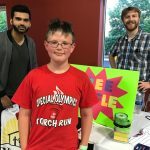 Everyone received a free raffle ticket but if they liked and shared Bridge Communities’ group page, they would receive an additional 2 raffles to win a Patrick Kane and Addison Russell jersey as well as other coupons and gift cards from local stores. Although 123 attendees sounds like a lot, it was a family event. For perspective, if you brought 50 people and they all have 1 child, there are essentially 100 attendees. In our event, there were people who brought 1 or 2 children as well as both parents attending. We are very proud of the successes we’ve made despite being unable to meet our fundraising goals because of the difference we’ve made in both the homeless community and those who helped us achieve our goals. Stay on schedule and establish dates for when contingency plans kick in and staying in constant communication with one another. If it wasn’t for our risk management plan we may not have been able to pull off an event. The main take away from our risk management plan was the chances of our event having to be canceled due to venues complications or lack of turnout which in the end made us start preparing our secondary event at Skyhigh which would allow us to pivot from the Dodgeball event because the chances of having to cancel where high enough for us to have to start preparing for what would eventually be the inevitable. This lead into our second major take away, which is establishing deliverable dates and contingency plans. Because of the risk management plan we were able to set up key dates for when deliverables had to be completed. This allowed us to coordinate appropriately as a group. We met up as a group once a week on Saturdays and had follow up calls on Tuesday evenings to make sure everyone was on task and on track to meet the due dates. Eventually we started having evening calls daily during the last week leading up to the event so we knew what the game plan was, who was arriving when, and how we would follow up with our report and presentation that was due the very same week of the event. Because of that we were never caught off guard and had an unforeseen event occur during our time together as a group. 1. It is imperative that the project perception and point of view. 2. Know the order of activities that comes first activities that are permitted by project controllers. 3. Describe the project end results and goals and make sure these are authorized by the project drivers. 4. Make the sure approved project deliverables are placed into real work requirements. 5. Describe areas of the project that are major and minor goal indicators and make a great project schedule to be finished by the project drivers. 6. Appoint resources and figure out the critical path using a project evaluation and review method chart or a work breakdown structure. 7. It is important to know that scope creep will occur. Scope creep happens when there is a bad requirements analysis, not getting users engaged early soon enough, and not knowing and being cognizant of the largeness of the project. There at times is a lack of understanding the change and control enough and gold-plating in which the practice of exceeding the scope of the project in the belief that value is being added.